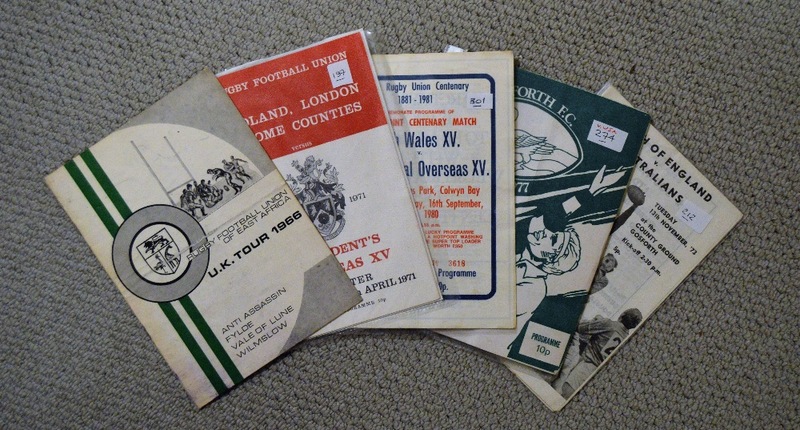 Overseas Opponents Rugby Programme Selection (5): Centenary Games - Midlands, London& Home Counties v RFU President's XV (Leicester) 1971; North Wales XV v International Overseas XV (Colwyn Bay) 1980; Gosforth RFC v the USA 1977. 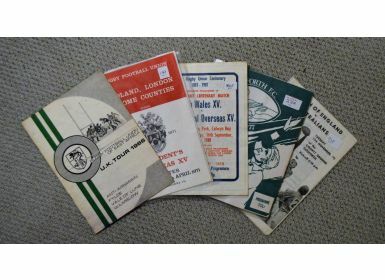 North of England v Australia (Gosforth) 1973; and the East African RU tour of the UK Brochure, 1966. Interesting, sometimes unusual items. G.